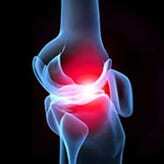 There Are Successful Treatment Options - Piedmont Physical Medicine & Rehabilitation, P.A. Getting rid of complex, chronic pain is by definition both challenging and time consuming. For those willing to tackle it, however, there are several successful treatment options available. Common pitfalls in treating complex, chronic pain include emphasis on pain symptom management, assuming that the source of the pain has previously been identified and believing that meaningful long-term pain reduction is not possible. Just changing the approach to these pitfalls can be of benefit. For example, while emphasis on pain symptom management would seem to be a rather obvious goal, when increasing the dose or number of pain medications does not work, then alternative pharmacologic approaches should be considered. There are numerous references to medications that effectively treat opiate-resistant pain, even when those medications were never intended for pain (see Which Medications & Why). First, by trying these drugs, and determining which of them work, new thoughts as to the source of the pain can be developed. For example, if anti-platelet agents or vasodilators are effective, then consider a vascular rather then a neurogenic source of the pain. Over time, when experience grows with pharmacologic manipulation, the physician’s index of awareness should increase for similar problems the next time they are presented by a patient. While no one would question that chronic, mixed migrainous headache can be responsive to antibiotics when sinusitis exists, they do not readily consider the same possibility when treating intractable back pain. This is a bit of a conundrum as all physicians know that infected disk, muscle, and skin are painful conditions that respond better to eradicating the infection than they do to opiates. Because special laboratories are now available to identify micoplasma (what once was considered to be a hidden infection), it stands to reason that treating the newly discovered infection would both reduce pain and lead to actual healing. Likewise, special lab studies that determine if excessive clotting factors are in the blood now exist. Approximately 20 percent of all Americans are felt to be carriers of some type of coagulation defect. When coagulopathy exists, multiple areas of fibrin deposition can occur, effectively creating the equivalent of mini-strokes within the tissues where the clots occur. Since these clots are more likely to affect areas that are already injured, it stands to reason that thrombolytic agents such as Lovenox and fibrin degradation enzymes such as Lumbrokinase can be used successfully to eliminate pain. Sometimes it can be very difficult to decide if hidden infection causes excessive clotting or vice versa. Treating one at a time may be the only way to find out. It is worth the effort, however, as dramatic pain relief can occur. Vascular and infectious agents are not the only sources of chronic, complex pain that are frequently missed. 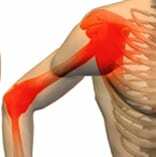 Soft tissue is commonly used in reference muscle, tendon or ligament. Injuries to these structures represent another large source of chronic pain. Prolotherapy — injections that re-grow torn ligaments — and Diagnostic Musculoskeletal Ultrasound — studies to image the presence of torn muscle, ligament or swollen tendons — have gained wider acceptance within the medical community. When used in combination, they represent a powerful approach to reducing pain and repairing the source of it. While tremendous progress has been made over the last twenty years, most physicians still have a poor understanding of the sympathetic nervous system and the role it plays in weather sensitive pain. Thermography effectively maps the distribution of vasomotor instability (a hallmark of sympathetic abnormality) and objectifies the presence of sympathetic dysfunction (the source of weather sensitive pain). Digital, computerized Thermographic equipment is now readily available and affordable. With an understanding of which structures generate skin temperature changes, and in what distribution they express those changes, numerous approaches to restoring the sympathetic system to normal become useful. This is both an important and powerful approach that offers great opportunity for symptom reduction, especially in those cases that are otherwise non-responsive to traditional pain medications. No discussion about complex, chronic pain would be complete without reference to the emotional impact that occurs along with it. While treating depression and anxiety are effective approaches to pain management, recognition is growing that cognitive therapies can give the pain experience a meaning other then suffrage. When pain is seen as serving a useful purpose, one wherein personal growth and development occurs as a result of it, living with the pain experience becomes infinitely more tolerable. Complex, chronic pain by definition is just that — complex. There is nothing simple about it. Most cases are due to multiple factors. For those who are willing to put forth the effort, however, there are numerous options that can be quite successful at both alleviating the pain and restoring tissue to normal.